Smooth, clear, monofilament nylon trebles with bronze wound over nylon basses. Ball-end. I love the way your website is organized. 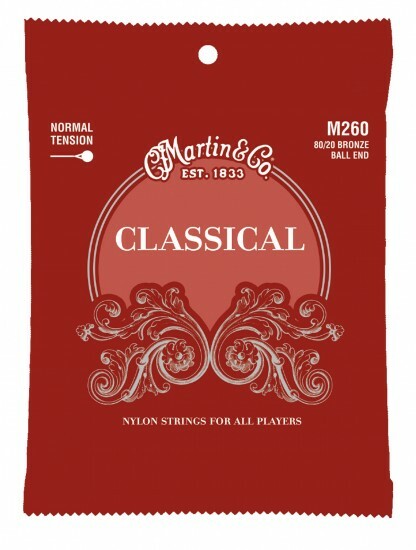 It makes it easy to find strings for all my different guitars. Keep up the good work.